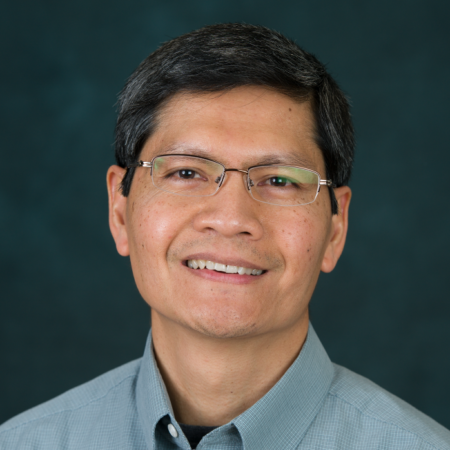 Dr. Allan Andales applies principles of soil and water engineering, environmental biophysics, and numerical methods to study the effects of management practices and environmental factors on field hydrology and agricultural production. He is calibrating and validating the Decision Support System for Agrotechnology Transfer (DSSAT) cropping system model for the Ogallala Aquifer Region (OAR) in Eastern Colorado. Along with collaborators in neighboring States overlying the OAR, he will use DSSAT to simulate long-term crop evapotranspiration (ET) and yields under various irrigation management scenarios. The simulated ET will be used in regional-scale hydrology models to estimate impacts of irrigation management on water supplies in the Ogallala Aquifer. Dr. Andales is also working with OAR collaborators to develop user-friendly irrigation scheduling tools for farmers in the OAR. Collaboration with computer modelers and digital tool developers in the OAR will result in new methods for linking field-scale models with regional-scale models to identify water management strategies that can optimize groundwater use and sustain irrigated food production in the OAR. It is also anticipated that widespread use of irrigation scheduling tools in the OAR will lead to water conservation and reduced transport of agricultural chemicals into the aquifer and surface water bodies. Webinar: "Getting WISE: new irrigation scheduling app from CSU"
Bartlett, A.C., Andales A.A., Arabi, M., Bauder, T.A. 2015. A Smartphone App to Extend Use of a Cloud-based Irrigation Scheduling Tool. Computers and Electronics in Agriculture 111:127-130. Andales, A.A., Bauder, T.A., and Arabi, M. 2014. A Mobile Irrigation Water Management System Using a Collaborative GIS and Weather Station Networks. In: Practical Applications of Agricultural System Models to Optimize the Use of Limited Water (Ahuja, L.R., Ma, L., Lascano, R.; Eds. ), Advances in Agricultural Systems Modeling, Volume 5. ASA-CSSA-SSSA, Madison, Wisconsin, pp. 53-84.